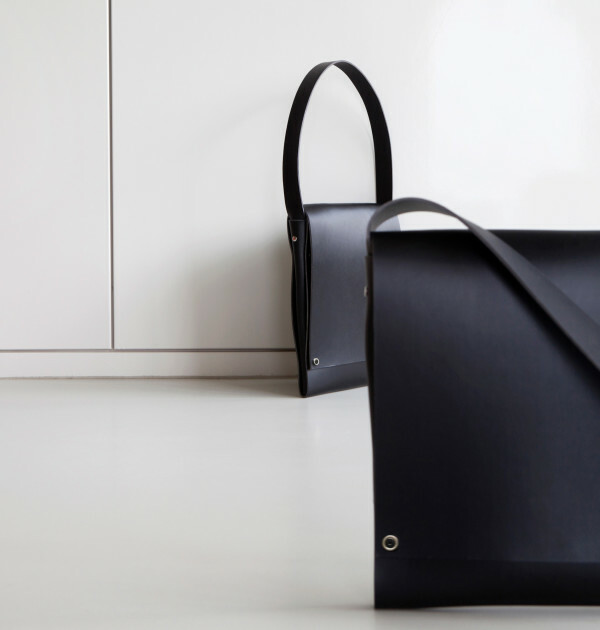 A bag from a piece of leather riveted together with chromed buses. 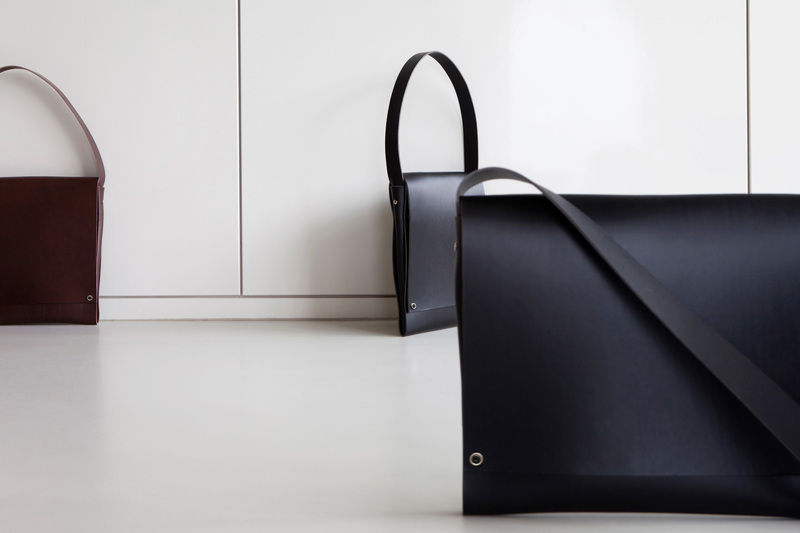 The leather is derived from the neck of the cow, in which the natural folds are use in the formation of the bag. 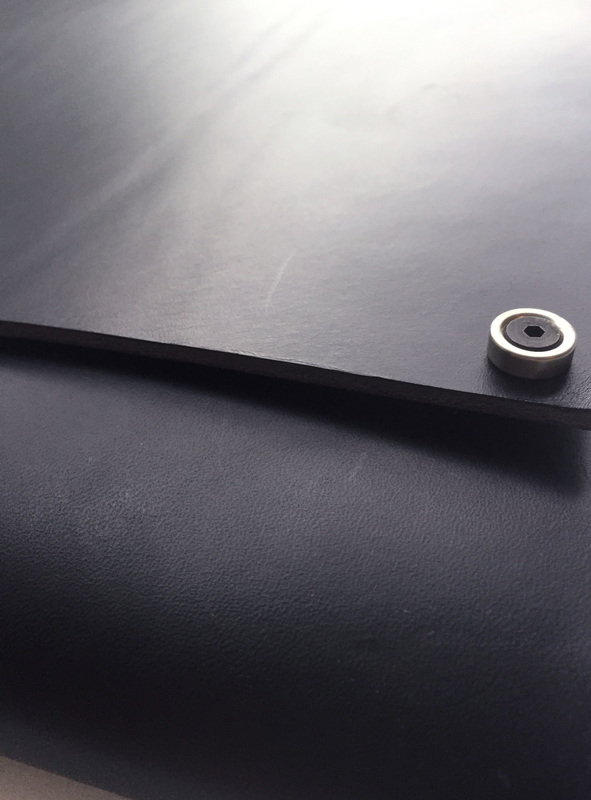 The high quality leather gives a luxurious appearance. 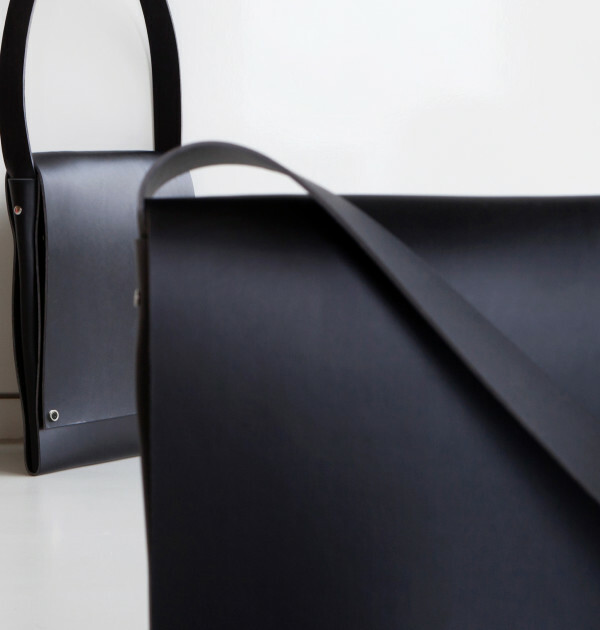 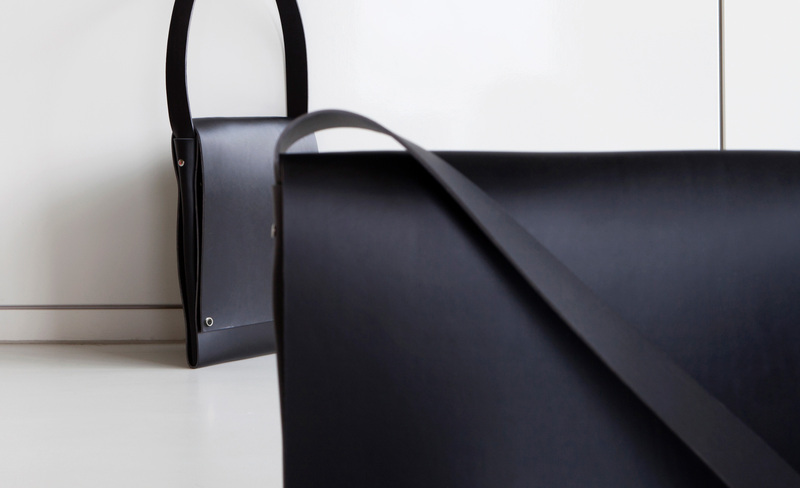 The bags are entirely hand tailored and processed. 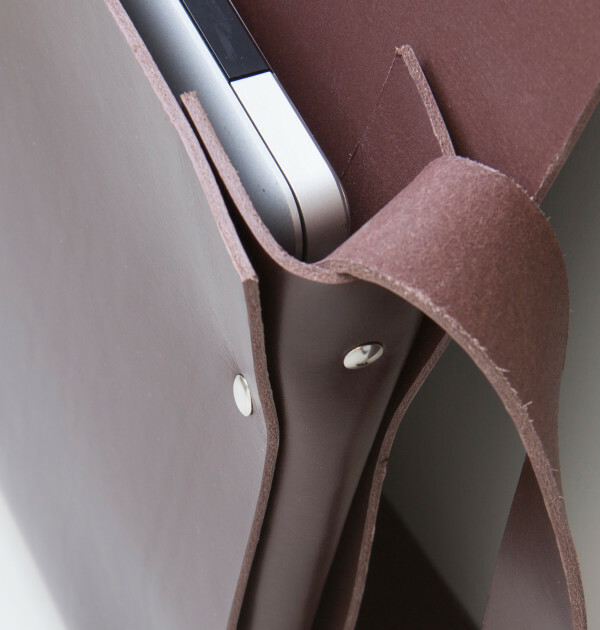 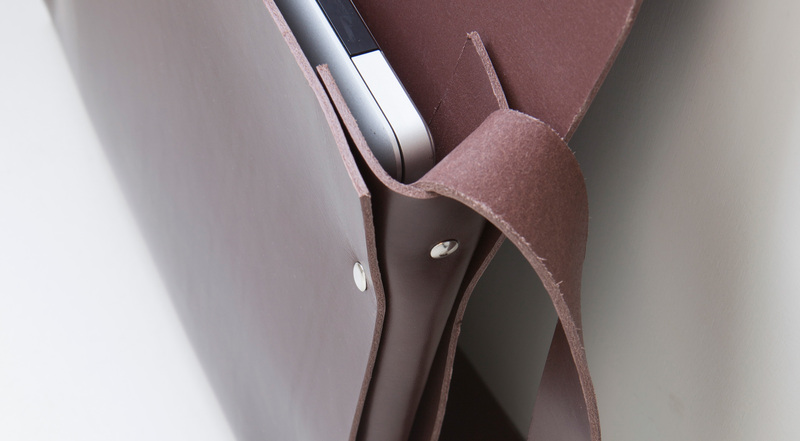 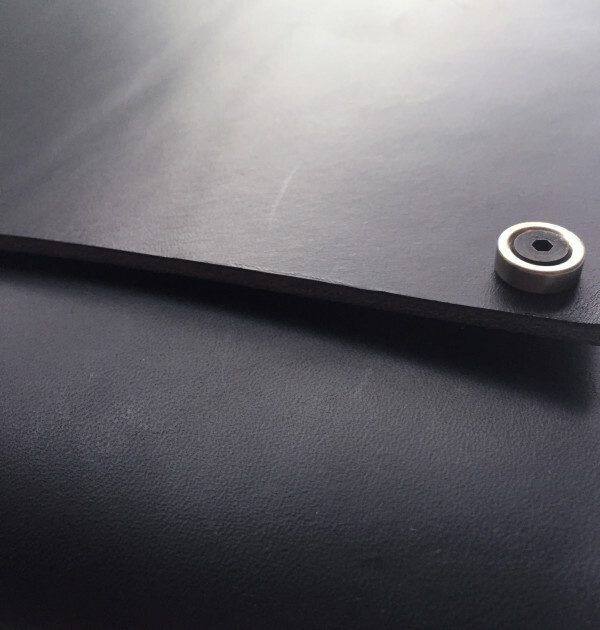 This bag is designed for an iPad mini.